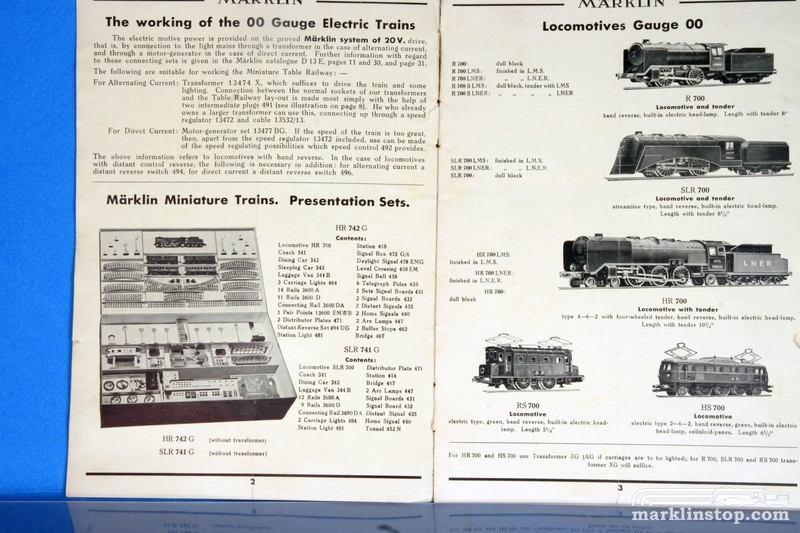 Rare and interesting black & white catalog was produce solely for the American and British markets. This version, without prices, is for the American market for the period 1936 to 1937. 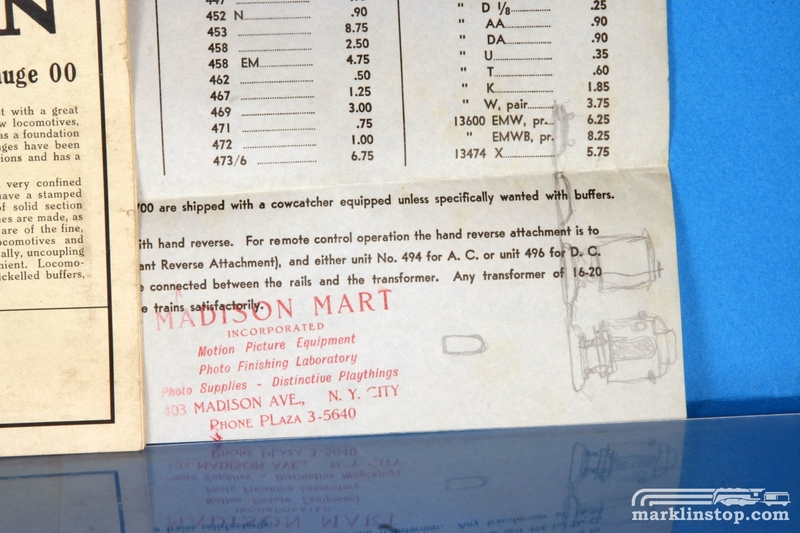 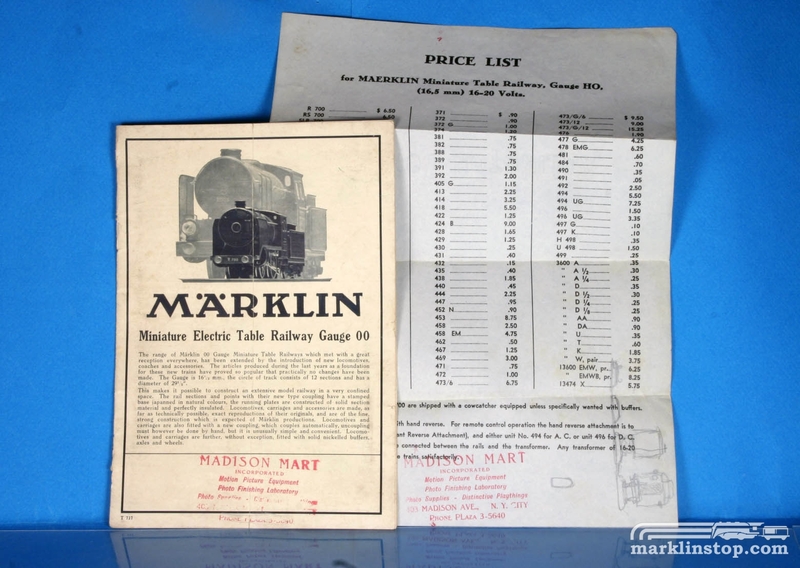 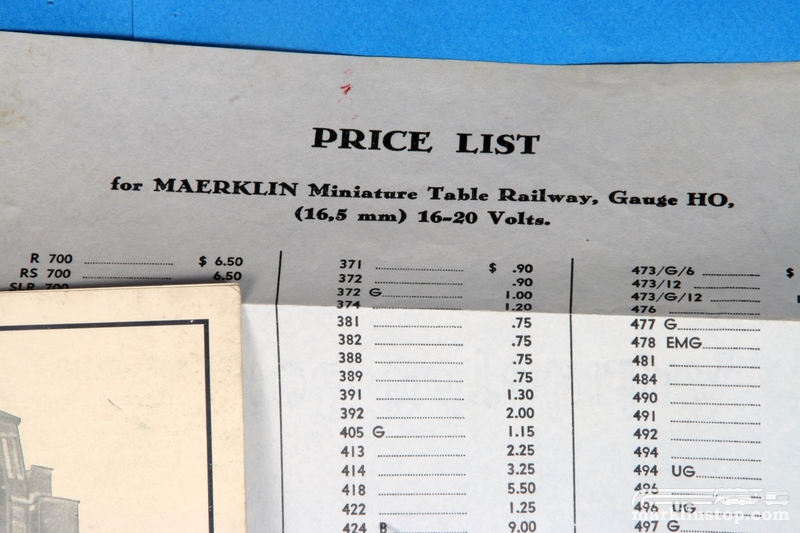 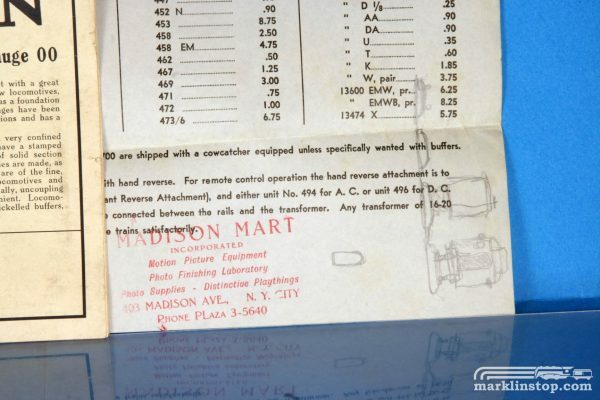 It includes an original price list, stamped with a dealer stamp, that features all of the 00 items available during the time. 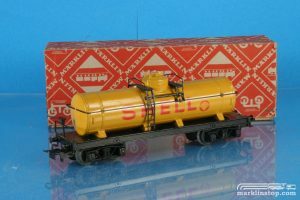 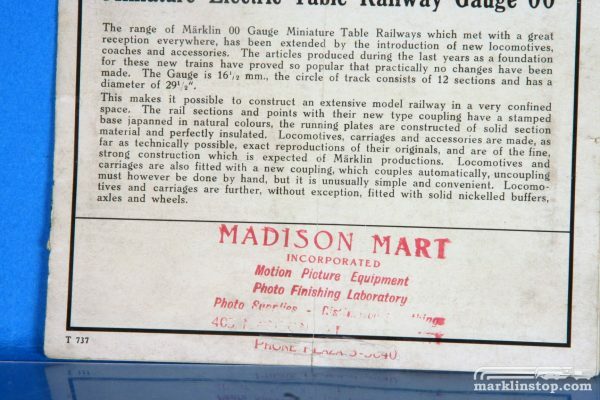 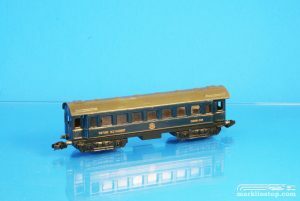 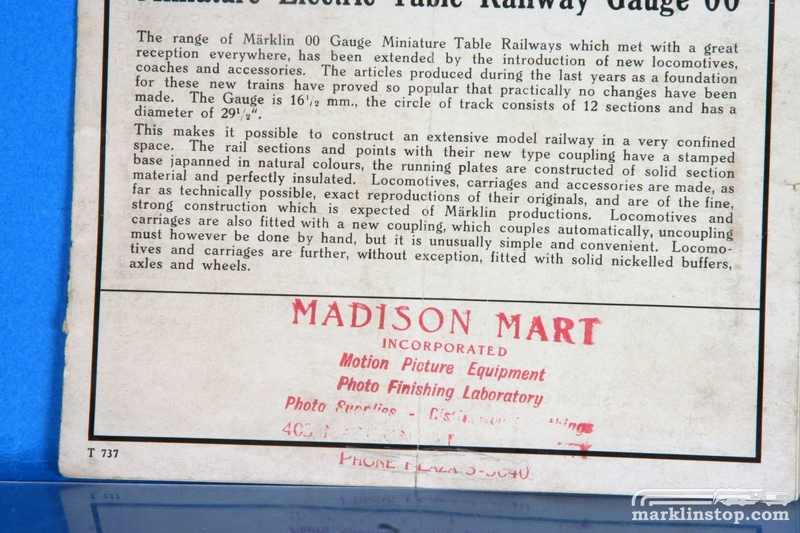 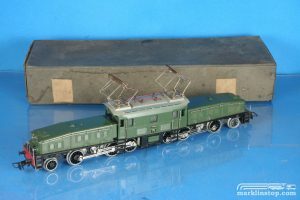 Of particular interest is the line which discusses the locomotives HR 700 and R 700 which can be shipped with American version cattle catchers. 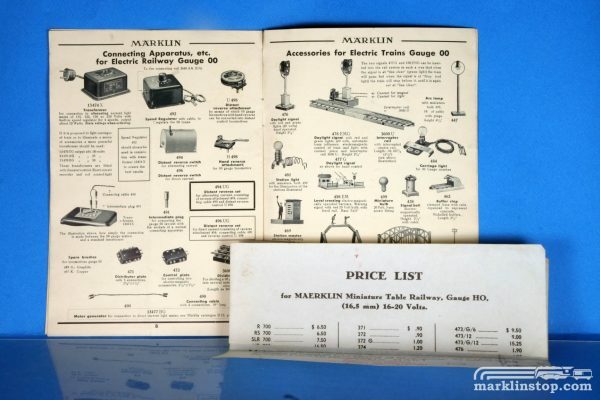 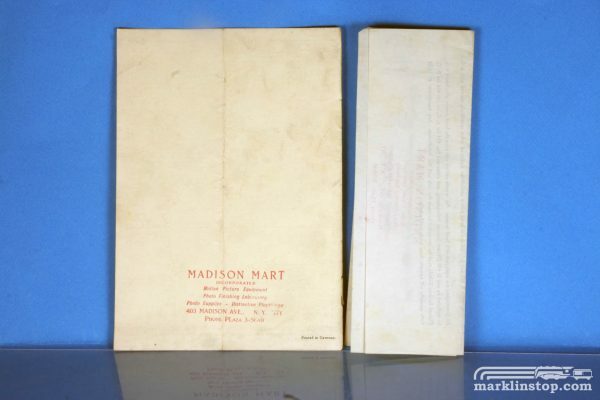 Catalog overall in fair condition, small rips and tears throughout; price-list folds and creases; A rare pair of items!